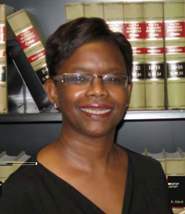 Deborah received her law degree from The University of Houston Law Center. Deborah worked as a hearings examiner for the Texas Water Commission (now the Texas Commission on Environmental Quality) from 1989 to 1994 and in 1994 went to work for the City of Austin Law Department. Deborah’s area of expertise is land use law. She works closely with city departments such as Planning & Development Review, Watershed Protection, Transportation, Capital Contracting Office, Parks, Austin Resource Recovery, and Neighborhood Housing and Community Development.